IMCDb.org: 1959 International Harvester B-Series in "The Andy Griffith Show, 1960-1968"
There's a good reason for that. It's an armoured car. 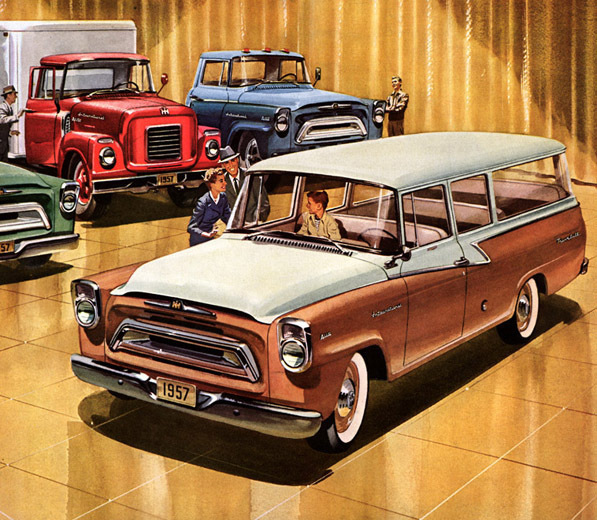 And this one was either made in 1959 or 1960, which makes it a medium-duty B-Series truck. Can't be a Scout, the Scout was a rather boxy mini-SUV made in the 70's and 80's. maruti800 wrote Then a Travelall? Looks much heavier than a Travelall chassis, as Firebird86 said. The fake gold transport truck, staffed by FBI men, for some strange reason. "Bad Day for Mayberry" was the ep. Anyway, this looks to be a commercial truck with a full sized chassis, not a pasSenger based Travelall or a little Scout. Very well Could be an International Harvester B-170 Commercial Chassis from '59. I drove one exactly like this in the 1970 era for a Bank. If my memory serves me right , it was around 22,000 lbs. GVW or so ( max 25,000 lbs.). Engine- International Harvester 304 V8 gas engine & the Transmission- 5 speed manual (1st is granny 5th is overdrive). Could also be a Tom Moore & Sons Armored Car Body. 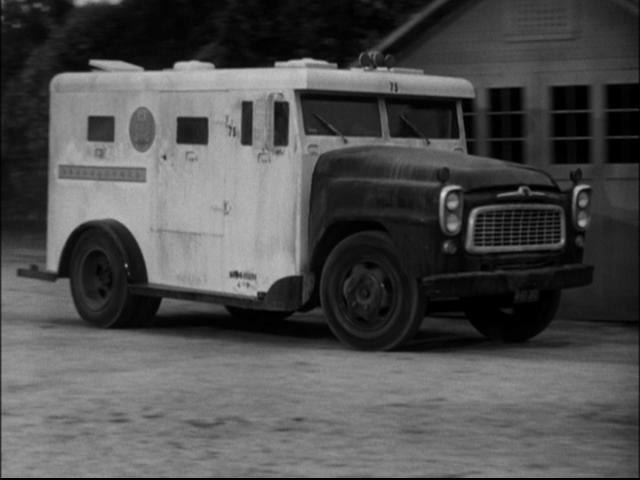 They built over 85% of all Armored Car Bodies in the USA and even World-Wide in that mid 20th Century era.